Heavy Duty Shrouded Impeller and Conical Porting Design allow the pump to handle carry over of liquids and soft solids without damage. 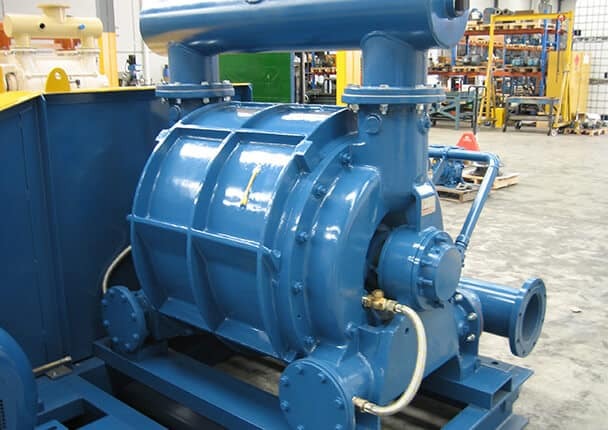 The liquid ring design is quiet and low in vibration and requires minimal filtration as there is no metal to metal contact in the operation of the pump. 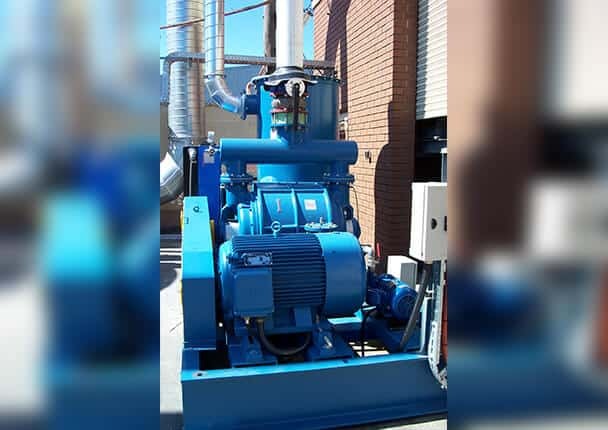 The EMTIVAC ECL range is interchangeable in dimensions and performance with other brands of commonly used cone port vacuum pumps. 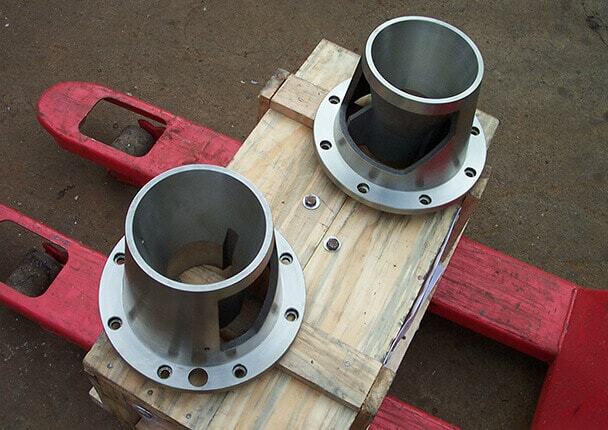 The standard material is Cast Iron Casings with a Ductile Cast Iron Impeller, full and partial 316SS construction is also available for more corrosive applications. The EMTIVAC ECL range has removable 304SS shaft sleeves in the gland packing area to prevent shaft damage from packing friction and to greatly simplify maintenance procedures. Inner bearing caps are cast steel so they can be used to extract bearings without risk of breakage. This feature is used in addition to the EMTIVAC bearing removal kit to allow in situ bearing changes without the need to dismantle the pump or remove bearing housings. Gland followers and fasteners are 316SS construction in all pumps to prevent corrosion damage and breakage. The EMTIVAC ECL range is manufactured in accordance with certified ISO 9001 quality standards. 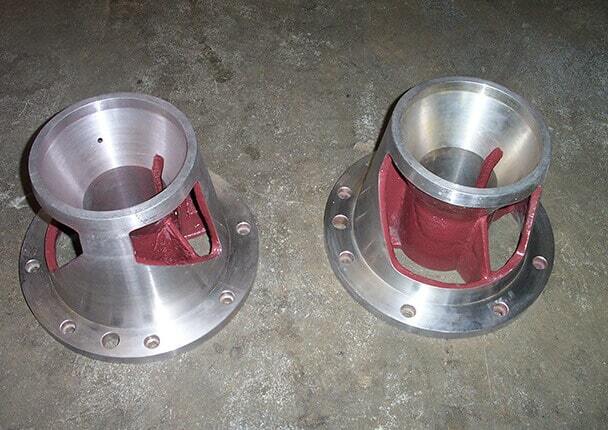 Cones are precision cast using the lost wax method prior to machining. 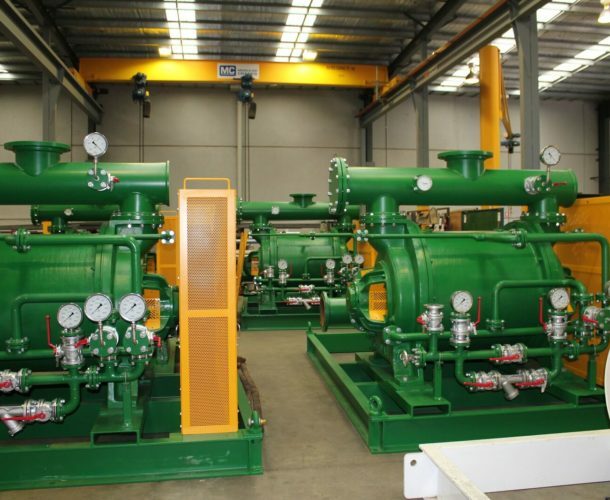 Each pump is performance tested for capacity as per BS-1571 Part II prior to dispatch. Bearings fitted are of the highest quality, SKF or Timkin manufacture. 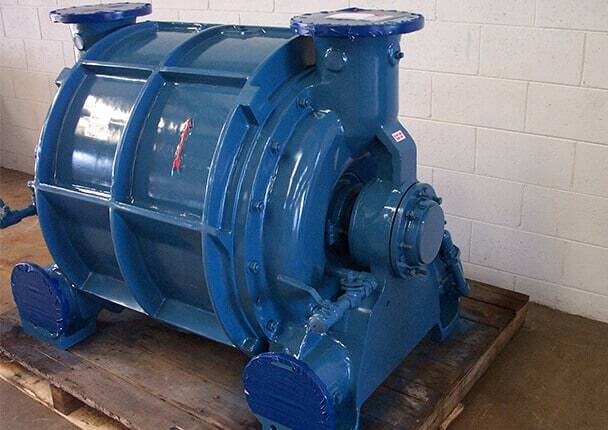 All pumps have a 24 month warranty against any fault in design, materials or workmanship.